I decided to make a virtual scrapbook with some of the photos I took this weekend. Enjoy! Sorry for my absence, again! I was out of town this weekend and at a lovely place called Shrinemont. I look forward to this church retreat every year. There is a seminar and a keynote speaker but every year I skip out on the seminar. I love learning, but when I have the choice of being cooped up in a room and being outside with nature, I'm going to choose being outside. Especially when I'm surrounded by trees, flowers, ponds, and of course mountains. I had an amazing time hiking, painting, playing bocce ball, hanging out with some of my favorite people, and taking lots of pictures. It was unusually warm over the weekend, it was almost 90 degrees on Saturday but a surprise rain storm brought the temperatures down. I've figured out what I want to do for my job to get me readjusted to working again. I want to work for a florist, something to do a few days a week. Arranging flowers seems right up my alley, since it is a creative outlet. All I need now is transportation and of course a florist to hire me. Luckily there are some florists in my area. I'm apprehensive to call and pursue this until I know for sure I will have transportation. Unfortunately, I'm not financially able to purchase a car right now and my Dad sold my old car a while back. I keep hoping that something will work out and some how, some way, I will get a car. That's the only thing holding me back! Too bad a car company isn't reading this. But why would they care about me anyway? Oh and I almost had a heart attack on Sunday. My Dad asked how my weekend was. Yes, I am just was just as surprised as those of you reading this. Granted he didn't ask how my day was today and it probably won't happen again for quite a while. I understand it's a start, that's how I'm seeing it, but it could also just be a mistake. I wish he could be that nice every day. I know that asking how a person's day is really isn't qualification for being considered nice. But for my Dad, it is. I think he is starting to realize that if he doesn't respect me, he will lose me forever. I deserve to be respected and treated nicely, especially since I work so hard not to upset him. In other news, on Friday I brought my amazing iPod mini back to life. Yes, the electronic device that died about a month ago was resurrected. On Friday morning, something told me to try to make my iPod work one more time. Lo and behold after many buttons being pressed in no particular order, my iPod came back to life! I had probably pressed the same buttons in the same order about 100 times before. But this time, my iPod decided to "make it work." I think it realized if it didn't wake up, it wouldn't get to go to Shrinemont. Besides, I couldn't fathom going to Shrinemont without my iPod. I have a Shrinemont soundtrack on there too with some favorite songs that match the mood of Shrinemont. I'm exhausted, Shrinemont always wears me out. I did go for a walk this evening with my Mom. I don't like to go off schedule and luckily the heat wasn't too oppressive today. The lack of humidity helped too! So my Mom and I took a medium length walk once she got off of work. I don't know if walking is really helping me at all, but it's a low impact exercise that doesn't disturb my joints. Plus it's affordable since I don't have money to be joining a gym, nor do I have transportation to a gym! A gigantic and overdue update! Sorry I haven't updated in a while! I have been really busy here lately and in between being busy, I've been recovering from being busy. Over the weekend, a good friend of mine got married and I was invited to the wedding. I had such a good time and it was amazing to see some people whom I haven't seen in a while. It was lovely to be able to reconnect. The bride and groom were too cute for words and I am thrilled for the both of them! I was so close to catching the bouquet as well, there was a bet going that I was going to catch it. Unfortunately, the tall people in the world have advantage over the short people, therefore, I lost. Oh well! Another friend of mine is getting married next year, another wedding, another chance to catch the bouquet. Here's a picture of me at the wedding in the beautiful dress my Mom made me. I've been doing a lot of painting here lately too! I used to try to sell my art but then people lost interest. But if anyone reading this is interested, please let me know. Here is some of my latest art. Here lately, there have been some things I wish I could get off my chest. If you don't know this, the relationship I have with my Dad is strained. It never used to be like this, until a few years ago. I used to the apple of his eye, he was so proud of me and everything I did, and even if I did something wrong in his eyes, he would forgive me not too long after. Unfortunately time changes people, life changes people, and our lives have changed us both. I think he sees me as some sort of alien, not the daughter he knew and loved. In a way, he looks at me like I have screwed up my life beyond belief, as if I'm crazy and a horrible, horrible daughter. The way he acts towards me makes me feel like I am the worst person ever. He has the ability to hurt me in ways that no one else can. And yet, apparently, he loves me. He doesn't express it in any way, I certainly cannot see it in his eyes, but apparently he does. I think it's a lie, I would know if my Dad loved me and here's how. I would feel it, but I don't, all I feel is a burning hate towards me. All I feel when he looks at me is shame, he is ashamed to have me as his daughter. If ever I could tell him what I feel, this is what I would say. I don't know where I went wrong in your eyes. I don't know how I screwed up. I didn't think I did anything wrong and most of the things that have gone wrong in my life, were things I couldn't control. I'm sorry that I've let you down all of these years and I'm not the daughter you envisioned me to be. It hurts me every day to know that you are not proud of me. My heart aches knowing that you are ashamed of me and that I am a disgrace in your eyes. I'm trying to do the best I can with what I have. You certainly are not helping me in the way that a father should. All you do is break me down and feel as if I am the lowest, most useless creature ever. You sometimes make me wish I could run far, far away from here. But we both know I can't, we both know I'm stuck here for a while. I want to have a job, an education, a car, an apartment, I want to have those things I used to have. But slowly each one of those things got taken away by no fault of my own. Yet, you blame me for it, you blame me every time you can. You may not say it, but I feel it, and I see it in your eyes. I wish I could make you proud, and maybe one day I will? Maybe one day I will be able to be the person that I can only dream of for now. I have a feeling though, that no matter who I become and what I accomplish, it will never be enough for you. You will always pick on me and make me feel like I am nothing. And I've come to the conclusion that you say the things that you do to me because it makes you feel like more of a man. Let me assure you though, that it makes you less of a man in my eyes. It makes you less of a father too. If you want pick on someone, if you want to hurt someone with your words, try hurting yourself first. Then maybe, just maybe you will realize the detrimental effects of your actions. I hope you're happy Dad, I really do. I would never wish what I have to go through on a day to day basis on anyone. I would never wish the physical and emotional damage it does to me on anyone. I would never wish that you would have to hear the words that come out of people's mouths when you least expect it. I would never wish the feeling that I have inside my heart right now on you. It hurts more than you could ever imagine. So I hope you're happy Dad, I really do. I hope you're happy with your dance lessons, shoes, and parties. I hope that people compliment day and night on how you are such an amazing dancer. I hope all the money you spend on it too is worth it, I'm sure it is though. It makes you look like an amazing person but I know that for now, you aren't. God help you if you do something nice for the other daughter, meaning me. You will go out of your way for my sister but if I were trapped under a boulder, you wouldn't even call 911. One of these days I'm going to be somebody and I'm going to go somewhere. And some day, some where, someone will be proud of me and I hope you realize that. Well blog readers, this is all I have for now. I don't normally like to air my dirty laundry in public but some things just need to be said. I can't hold everything in forever and I shouldn't be expected to either. I'm tired of playing make believe and letting people think everything is OK with my Dad when it really isn't. My Mom will probably kill me for writing this, but I get picked on enough by my Dad. She says he is trying to do better, but until I witness it, I won't believe it. Too good for government work? Ah! What a busy day! I've cleaned, cooked, baked, cleaned some more, went to Target, had a final dress fitting, now I'm back at home. Honestly, I'm exhausted and my version of exhausted is probably much different than yours. Take the tired feeling you have at the end of your worst day and multiply it by 100, that's what I feel on a day to day basis. And no, I'm not exaggerating, I'm also still expected to function. I get to do it all without coffee and soda too! Today I baked an experimental batch of cookies which was a mesh of a bunch of different recipes. The main idea is a low sugar homemade nutella double chocolate chip cookie. Sounds unbelievable and inconceivable right? Wrong! Each cookie has about .03 grams of sugar, which is very, very low. It's virtually impossible to make a homemade cookie that is sugar free especially if you use real vanilla extract. Plus the hazelnuts in my homemade nutella have their own natural sugars. Anyway, baking with Splenda is a huge experiment which the home bakers, such as I, are constantly working on. It's difficult to get the results that one would get if they used sugar. Often times the cookies won't spread on their own so if you want a flat cookie, you have to mash it flat. But I actually prefer the cute half dome cookies that I have perfected. Laid off from work? Stocks in the toilet? Wondering if you're 401K is worth anything? Eat a "Too Good For Government Work" cookie and for a moment, none of that will matter. Here's the delightful goodness that even Martha Stewart couldn't create! Oh and my internist called me today, how exciting! Anyway, I'm finishing up my round of antibiotics to "be on the safe side." In the second full week of May I have a follow up appointment. I'm going to have the same tests run and if they come back abnormal, we will go from there. If they come back normal, then we have solved the problem. Why so late to have an appointment you may ask? To give me time to finish up my super pills and then have time for all remnants of the medication to get out of my system. That way my test results will be a bit more accurate. Tomorrow I'm going to a wedding, I've got one more fitting for my dress my Mom is making me. We are having to take it in because it was a bit on the big side. Hopefully it will turn out OK? I'm looking a bit different since I've gained weight, which I needed to in the first place. But it's leaving me feeling fat and dumpy, I guess I'll get used to my new figure? I haven't walked this past week, just because of the whole kidney party I was having and then the doctors stuff, and then I've been exhausted beyond belief. Hopefully I can get back to walking next week? Perhaps I'll take a short walk tomorrow morning, maybe it will invigorate me? I'm still Twittering by the way, I'm getting used to it! Thank you everyone on Twitter who's reading my blog, I really appreciate it. Y'all are awesome for welcoming me into the Twitterverse. Today has been a really good day! My renal ultrasound came back in the clear so that means I probably just have an infection until further notice. I'm on antibiotics so hopefully the inflammation will go down soon. I'm still having some pain that comes and goes. Right now it's coming. I also have some stiffness and pain in my neck but I'm not really concerned for now. I think I've had such a busy day where it is all catching up with me. This morning I planned on being productive but I wasn't. I was just too tired, I feel like I can't get enough sleep. Plus I feel like I've been running around like a crazy person. I wanted to take a walk but I just couldn't get the motivation up. I really wanted to hang out with my sister and have a paint party. I was completely craving the outdoors and I longed to feel sunlight. Luckily Lindsay agreed and we went to the new cafe that Ellwood Thompson's opened. I had a green tea and Lindsay had a coffee. We sat outside, don't worry, I was fully covered and wore sunscreen. I painted, she piddled on the internet, and then she joined in the painting party. I wanted to give her a little something for her new apartment, here's the masterpiece! Lindsay also got the brilliant idea that I should starting Twittering. Yes, I'm now part of the Twitter clan. I don't quite understand it but my sister thinks it would be a good way for me to advertise my blog. I'm going to try it and see how it works out for me. On a side note, I feel like my sister and I are growing closer. I think we are able to bond better when we have an activity, like painting. We have completely different thoughts when it comes to shopping, cooking, personal appearance, and just about anything else. But we both try to be artistic and I think we have fun doing it. She mentioned that she felt calmer after painting. I'm saving myself therapy bills by painting, it definitely mellows me out. What stinks though is I can only paint when I feel inspired. Anyway, I need to go now. I'm really not feeling so well and I think I need to rest. I'll be back to my peppy self tomorrow, don't y'all worry. Oh, and my sister thinks my blog will be more personal if I sign it like I will be signing today. Why am I taking antibiotics if I don't have an infection? I have no idea why I am taking antibiotics when I don't have an infection. Oh yes, I know why! Just to be on the safe side. I love that about me, I can't ever take the dangerous route, I have to be safe all the time. I had the ultrasound of my renal system today to figure out what was wrong. Guess what? I still don't know what's wrong. Unfortunately I don't have the ability to read ultrasounds. Too bad Barnes and Noble seems to be out of the book I was looking for! Experts say one shouldn't Google medical problems. But I've gotten so good at Google and deciphering my symptoms, 99% of the time my diagnosis is correct. That means 99% of the time I can figure out what's wrong and then when I go into the doctor, it gets confirmed. If I sound cocky, it's unintentional. I think it's a combination of me being a somewhat intelligent human being, I'm very in tune with my body and I listen to what it says, and I Google responsibly. Being an irresponsible Googler would be googling "headache" and believing you have a brain tumor when in reality you have a tension headache. I have my ideas on what I think my kidneys are doing. I'll be good and wait for the radiologist and internist to give me their diagnosis. At least my ultrasound tech was friendly. She was a middle age woman who was actually a student, not to worry, her instructor was there the whole time. I don't think she missed a spot because every time I turned around I had to switch positions. Ultrasounds are not normally painful unless they press on an area which is already tender. For example, my kidneys. It hurt worse when I had to take a deep breath and hold it. But I'm a big girl and when it comes to pain, I'm a tough cookie. I think doctors have a difficult time with me because I don't feel pain like everyone else. If I do, it's a big, big deal. Except for the fact the pain for me is like a 1 or a 2. For someone else, it would probably be a 7 or 8. I've always had a high tolerance for pain and over the years I've learned to live with pain. It's gotten to the point where I can pretty much ignore all sorts of pain. I suppose it saves me money on pain killers? Hopefully I will know something tomorrow, preferably in the morning! I am also planning to make homemade sugar free nutella chocolate chip cookies tomorrow! Mmm makes you wish you could come over and eat cookies with me? Just because they will have no sugar doesn't mean they won't be high in calories. I had to throw that warning out there. I was going to paint some today but I never got around to it. Now I'm too cold, brr! Appendicitis or Fun Kidney Time? Choices, choices. Which would you rather have, appendicitis or kidney issues? I'd rather have appendicitis. I have a 3:45 PM appointment with my internist to figure out what is going on. The pain started yesterday as a pain in the middle of my back and it went through to the middle of my abdomen. I woke up this morning with a horrendous pain in the right lower side of my back that again went through to my abdomen. I tried to sip some tea to see if that would help but it just made me nauseated. The common sense person would say "You have a stomach virus." I know what a stomach virus feels like and this is not it. I also know it's spring time, the last of the winter bugs are trying to make their appearance. But just to be on the safe side, I'm going to the doctor. I can't eat or drink anything for now. I would kill for a promethazine but that requires me swallowing liquids. I've got a drugstore in my room but yet nothing is of use to me. I'm hanging out in the bathroom with my laptop. I've got my TV turned up loud. Regis and Kelly are talking about cars, I think there is some big auto show in New York this week? It's so funny how when you mention your kidneys might be having issues, everybody jumps in to hand over theirs. I don't think they realize the seriousness of it. If they do, they are truly awesome friends. The donor surgery and recovery time always seems to be longer than the time it takes for the person getting it. It's painful and it's a kidney. You have to think about the "What ifs?" What if your kidney goes kursplat in the future? What if you get injured and have damage to your only kidney? What happens if a certain medication chews your kidney up? What if you end up with some horrific disease that decides to chew up your kidney? You would definitely have to go on dialysis and you might even die if your renal failure is bad enough. So yes, before you go throwing a kidney in my direction, let's rule out some stuff. First, we have to figure out if it could be a stomach virus, appendicitis, or kidney issues. Second of all, if it's a stomach virus, I just have to wait it out. If it's appendicitis it's a little slit, snip, yank, and sew and I'll be as good as new. If it's kidney related, whatever it is has to get diagnosed, then they determine if it can be treated with steroids, pain killers, immuno-suppressants, dialysis, and/or a transplant. If it's a transplant I get placed on the wonderfully long list, probably at the bottom. That's where the family/friend kidney comes into play. Plus you have to be a match, the better the match, the better of a chance it will work. Of course I could just be crazy? But I don't go to the doctor unless I absolutely have to. I don't enjoy going and plus I don't want to drive the cost of health care up. Plus I'm feeling pain, I have a high tolerance for pain so if I'm feeling pain in the first place, it's a big deal! I stink at the pain scale thing because I never know what my pain is supposed to be. All I know is that I'm feeling it, it hurts, and pain medication ain't cutting it. I'll let y'all know how this afternoon goes! If all else fails, I'll have my sister get on and post a blog. Dangerous, very dangerous. Believe me, you'll know if it's her! She'll be talking about shoes and lip gloss. Life isn't easy, but it sure is good! Don't fret, I'm still here! Here's a weekend update minus a Saturday Night Live skit. Over the weekend, I only walked on Saturday, I gave myself Easter off. I walked 1.80 miles on Saturday which wasn't a lot. But I've been extremely tired and running on empty here lately. On Sunday I woke up early and got ready for church. I went to the 11 AM service with Ariel. We both enjoyed catching up with people who hadn't seen us for a while. The service was nice but we skipped out early because Ariel's blood sugar got a little on the low side. That afternoon we had Easter dinner at my house with all of my family. Ariel, my sister Lindsay, and I had a blast taking lots of unconventional Easter portraits. It was like the good old days when we were all constantly together. This morning I decided to take a walk when I probably shouldn't have. I've had a nagging lower back pain mixed with abdominal pain. I keep thinking it might be because of my new walking routine. But of course it's a good chance it's my kidneys. If I'm not feeling better by tomorrow morning, I'll call my doctor. Anyway, this morning I walked 2.60 miles! I didn't think I walked that far, but I did, surprise surprise! Once I got home I started to feel worse. I've been lounging in bed, drifting in and out of sleepy time land since then. I know my Dad is probably mad at me because I didn't do the dishes today but I'm sorry, I've been too tired. We don't have a dishwasher either, everything is done by hand. Today Life is good on Facebook sent out a mass message about a story they posted. It seems like in the moments that I really need to be reminded that life is good, I get reminded. It's as if the people there know when I am down or not feeling well. They also seem to know when I am doing well, when life is going my way. In those good moments, I am able to celebrate and rejoice in the fact that life is good. They posted this story, Hudson company accentuates the positive. In the article, Keith Campbell who is the company operations director summed up the way I see life. "Life isn't easy. But life is good." So right now for me, life isn't easy, but it's good. It's good because I was able to celebrate Easter with my family this past weekend. It's good because over the past week I have walked 18.84 miles! Life is good because I've been able to do some painting here lately. Life is good because I don't have to get gum grafts even though I still have to get a lot of other craziness done. Life is good because I'm planning to go to a wedding this weekend and the following weekend I will be at my favorite place ever. Life isn't easy, but sometimes the best things are hard, they take lots of energy, commitment, and of course, love. I wonder if I could walk, bike, paint, and try on dresses all at once? Sorry for my absence here lately! It's been spring break around the house and I've been quite busy. I'm still exercising, I'm walking an average of 2.5-3 miles a day. I know that it's not a lot but I'm trying and at least I'm getting a routine down. Today I walked 2.57 miles and then I also got on the stationary bike and biked a whopping one mile. Again, it's not a lot, I had to stop every .05 miles so my muscles would stop cramping. It's hard to think a few years ago I was so in shape and riding a bicycle for one mile would have been nothing! I'm going to a wedding in a week and I have had the hardest time trying to find a dress to wear to it. I didn't really like anything I saw in the stores and I really didn't have much in my closet. So I did the unthinkable for me, I went to the fabric store with my Mom. I hate going to the fabric store because my Mom takes forever. Even if she hasn't found anything she likes the first loop around the store, she will loop back around again. But I figured the only way to find the perfect outfit was to have my Mom make it, it pays to have a seamstress in the family. I started looking at pattern books and I came across the perfect pattern. It reminded me on Audrey Hepburn, it was vintage, and it just said "Erika." Apparently my Mom had been looking at this pattern for me for the past two years and she always thought it would be the perfect dress for me. As we looked around the fabric store, we couldn't find any fabric that would be appropriate. I wanted a fabric that would be a weight that would be comfortable all year round. I also wanted a color that would work for all seasons. I didn't want anything sparkly or that looked like it belonged on a prom dress. 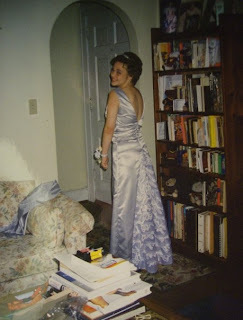 I wanted a pale silver color, a dull satin, something like the fabric my 2003 prom dress was made out of. Unfortunately the fabric store we were at didn't have anything like it. So we decided to go across the street to the other fabric store where we found the silver fabric a few years ago. Lo and behold they had it, along with the pattern we wanted, and it was on sale! Fabric, pattern, and a new spool of thread cost about $28. If I had to go out and buy the dress in the store, it would probably cost at least $60. But that includes the cost of labor and inflation. 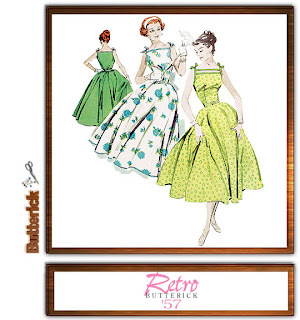 In one week, I will have the dress that the woman in the middle of the pattern is wearing. I like the middle dress because the front will lay flatter and provide me with more coverage than the dress that has the two straps across the front. I do like the dress with the two straps but with my figure, it probably wouldn't work to my advantage. I just hope I'm not over dressed for the wedding! Not much to update on medically. Of course I have had increased joint and muscle pain since I have started the exercise routine. I've had more fatigue which is also to be expected. I just hope it evens out sooner or later! I'm really focused on increasing my strength and endurance. With strength and endurance comes more energy, with energy comes the ability to do a lot of great things. I've got a rheumy appointment the first week in May. That means I get to get lab work done about a week before the appointment. I'll probably get it done in the beginning of the last week in April just to give Quest a while to process it. I've figured out that Quest is much quicker than Lab Corp! Plus when I've gone to Quest, it's been a lot less crowded and the wait has been minimal. Yesterday I hung out with Michele and we had another paint party! We went to Starbucks because there was a painting there she wanted to copy. I had a painting I needed to finish anyways and it's always more fun to paint with a friend. Last night I also went to the Maundy Thursday service and I saw my Godmother. I told her that I switched internists and she seemed a bit on the concerned side. Of course she had a million questions but it's only because she loves me. I also got the semi compliment of "It's hard to believe that your sick!" Every time I hear that I just want to say "Really? Because I feel like barfing on your shoes." I'm glad I don't look sick but what does sick look like in the first place? Oh and here's the painting I finished yesterday. If you want it, let me know! It's a 4X4 inch painting and I can ship it anywhere in the U.S. All you have to do is name your price, chances are, I probably won't turn it down! Unless you are offering 50 cents. I know my paintings are quite elementary because I've never had any sort of professional lesson. But I think they add a lot of joy to life! You mean I don't have to put a Kia in my mouth? This afternoon I had an appointment for a consult for my mouth. I was on pins and needles, here's why. This saga has been going on since November, that's right, November! Insurance wouldn't cover me to see a specialist, so I had to go down to the dental clinic at MCV. Gah, what a scary experience! If I absolutely could not afford dental work, I would go there. But would I want to get parts of my mouth grafted? Probably not. Was I about to? Yes. Anyway, my dentist finally decided to file a claim with my insurance saying I would benefit from seeing a specialist. Insurance approved the visit, I got an appointment, and here's how it went. For the past few months, people have been telling me how horrible my mouth is. Yeah, thanks, I really needed to feel more self conscious about it. I have impeccable dental care and I feel as if part of this is my fault even though it's not. Part of it is the Lupus, part of it is genetics, and part of happened because of everything my mouth endured with orthodontics. Oh and for those of you who are saying Lupus is genetic, technically it can be but mine was more than likely caused by the Epstein Barr virus. Anyway, the specialist said my mouth was not as bad as I thought it was, that technically I could benefit from one graft, but my case isn't severe enough for insurance to cover it. As long as I keep up with my impeccable dental care, I will probably be OK for another few years, possibly the rest of my life. But, I still need crowns and sealants and some old dental work to be touched up. Technically it's good that I don't "need" grafts. The doctor said I could certainly benefit from one because of my thinning tissue. But it's not enough for insurance to want to cover it, they would deny my request in a heart beat. It's a bad thing that I could benefit having my mouth grafted but it's not quite bad enough. It's a sort of damned if I do, damned if I don't situation. But at least I got another opinion, at least he was up front and honest with me, and at least if things get worse, I can get a graft done. Here's what kind of bothers me about this doctor. He was asking me if I got the typical subcutaneous lesions, I get them on the inside of my mouth and nose. He asked me if I got them anywhere else, which for now, I don't. He then went on saying that if you have them in your mouth then you should be having them elsewhere. He also said that I don't have the typical lupus rash and I explained to him that I am photosensitive and the rash will only happen during a flare or if I am exposed to UV rays unprotected. He said that could be sunburn, I said most people don't get sunburned in under three minutes. I think I will have this problem my whole life, people think that if you have Lupus, you have the rash. Not everyone gets the rash though, you can have Lupus without the rashes. It's a very individualized disease and my case of Lupus is not the same as another person's case. Oh and the next time I get the lesions on the inside of my mouth, he wants me to come in so he can take pictures. Yes, because I want to go across the rivah so I can get pictures taken of the inside of my mouth. Is it for my chart? Probably not. Will he try to submit the photos to a medical magazine with an article, I have a feeling he will. Seriously, if you want to see pictures of lesions and ulcers inside a person's mouth when they have Lupus, Google it already. I know I sound really mean but I could be doing better things with my time than having pictures taken of my mouth. I just get so frustrated when a doctor, or person in general, thinks they know any and everything about Lupus when they don't. For now, the only two people who should be focused on my Lupus care are my rheumatologist and my internist. Unless you are one of those two people, your opinion about "What you've heard about Lupus" probably isn't good enough. I went walking this morning and I was just able to track my distance, I walked 1.872 miles today, not quite 2 miles. Tomorrow I'm definitely adding some length to my route to make sure I hit the two mile mark! Plus it shouldn't be as cold tomorrow as it was today. I walked, got my mouth investigated, no brand new Kia needed, probably only a used Kia, got an unnecessary schpeel about Lupus, and now I'm exhausted. Is it bedtime yet? Please remind me that if ever am able to adopt, that if I have a child, I should always be there for the child. It doesn't matter how old they are, I should always be there. I should do everything in my power to help them, I should never degrade them and make them feel like a bad person. I should love and support them, no matter what. It doesn't matter how hard life is, I will step up to the plate and encourage them. Right now my life has a whole lot of "I don't know" going on. I don't know what is going to go on with my mouth? I don't know if my kidneys are going to get better or worse? I don't know whether my stomach will lose more of it's happy nerve endings and become completely paralyzed? I just don't know what will happen. Will my heart and lungs be affected by the Lupus as well? I just don't know. I don't know if I will be able to hold a normal full time job? I don't know if I will be well enough every single day to hold a full time job. I know it seems like I'm doing okay, and most of the time I tell myself that I am, but I'm not. I don't let on a whole lot on how I'm feeling. I may look okay and act okay, but chances are, I'm probably not. And on the day when I don't look okay and act okay, I'm feeling like death on toast. So please remind me, if ever I am lucky enough to adopt, to always support my child. My Mom has done a wonderful job and she is doing the best she can with what little she has. And she knows that I am not the type of person who asks for help unless I truly need it. To think, my Dad has the ability to completely ignore everything that is going on with me. I feel as if he is mad at me because I'm sick a lot. Well, I think he forgets that part of it is genetics and therefore part of it is his fault. Oh well, he will never take the blame for anything. He will go out of his way for everyone else but me. But I'm going to stay positive. With each week that passes, hopefully one "I don't know" will pass as well. Hopefully with time I will be able to say "I do know." I do know one thing that I want, respect from my Dad. Maybe I don't deserve it, maybe I'm not good enough for it, I just don't know. But one of these days, my Dad will respect me and if he doesn't, he is not the man he thinks he is. In other news, I went walking with my friend Ariel today. We walked a total of 2.354 miles today! I know it doesn't seem like a lot considering we are walking, but it's a lot for us. I have walked a total of 5.002 miles over the past two days! I'm really proud of myself for being able to do this. My heart has acted up but it hasn't been enough to cause me to stop. But my heart will act up no matter what, sitting, standing, walking, running, my heart will go crazy at the drop of a hat. Tomorrow I get to find out what can be done to fix my mouth. My main concern of course is money, it's something that certainly isn't free flowing around here. I just hope it can be done in a successful way without costing an arm, leg, and maybe a kidney. Y'all send some happy hopes my way and some prayers too if you're into that sort of thing. I can't lose hope now. I know my life is going to always be an uphill battle and this is only the start. I have to stay tough, I have to keep myself strong, I have to remain filled with hope. Not just for the future, but for right here now and now. It takes a lot of hope to live each moment, but I don't think we realize how much it really takes. Time for the weekend update! Sorry I haven't updated for the past few days. Life has been incredibly busy for me. Let me give you a bit of a recap. I cooked all day long on Friday! For those of you who don't know, I have a special diet that I keep up with. I don't eat processed foods, sugar, dairy, anything acidic, I also try to stay away from red meat. I cook all my meals for the week ahead of time and I portion them into plastic containers. I freeze them so even on days when I don't feel so well, I can still have meal that is safe for my dietary restrictions. I got some lab work back on Friday which has raised some concerns for me and I am hoping to get more details within the coming week. On Saturday I went to Shockoe Cemetery with the ladies of the UDC chapter I belong to. It was supposed to be a walking tour with historical information about different people who were buried there. Well, one of the ladies from the chapter brought her three children along. The two older children were wired but extremely well behaved. There was also a baby but I steer clear of babies. I kind of went into babysitter mode and hung out with the kids. I thought the mom could use a bit of a break in the first place. The two munchkins kept asking me about the "dead people" and if they could come out of the ground. By the end of the morning the little boy had a huge crush on me, according to the older sister. I got more flowers from that little boy than I think I have gotten in my whole life. Of course they were dandelions, buttercups, and weeds, but it's the thought that counts. Afterwards my Mom and I met up with some of the ladies for lunch at Capital Ale House. I hadn't been there in a few years. They didn't have any tables that weren't booths in the front of the restaurant, so they let us have the back room to ourselves. I think it was a good thing, our conversations were interesting to say the least! The food was also really good, considering I'm not a fan of red meat, they had other items on the menu that weren't red meat. I just wanted to see if I could digest it with my new medication. I could and it was a bit on the awesome side. Will I now start eating red meat every day? No. But once every couple of years I might divulge. I'm a take it or leave it type of gal and I can definitely go without the red meat. Today I woke up early and went to church, 3rd Sunday in a row. It was crowded because it was Palm Sunday. I know this coming Sunday will be crowded because it will be Easter. I like Palm Sunday because I make tons of palm crosses and then I hand them out to people. I was making crosses the whole entire service, I know it's not very mature of me. Oh well, old habits die hard. Everyone at church was thrilled to see me, again. I think everyone is going to be thrilled to see me for another couple of months. Eventually the newness of me will wear off. I also cooked more food and stored it in the freezer today. I found a really awesome sugar free whole wheat pasta that has omega 3 fatty acids in it! I cooked boneless, skinless chicken breasts on my Lean, Mean, Fat Burning machine! I also lightly steamed green beans to go along with my chicken and pasta. After I cooked 6 meals, I ate my lunch and decided I wanted to go for a walk. I'm not supposed to exercise without supervision so I asked my Mom to come with me. We walked all around my neighborhood and then walked up to the drugstore to get some items that were on sale. We walked a total of 2.648 miles! I know that doesn't seem like a lot, but it is for me. I only burned 194.312 calories but of course I wasn't really doing strenuous activity. For me it's not about weight loss, it's about improving my body's well being. Now I'm at home with a Monk marathon. I am taking time to rehydrate myself but not too quickly. I don't want my kidneys to get unhappy with me! So far I've had 16 ounces of water and I have another 16 ounces to go for now. I am going to hopefully finish a painting this afternoon. I talked to my Mom this afternoon about the whole car thing, since I don't currently have one. I know my Dad will be furious at the thought of having to help me, but he's just going to have to get over it. I don't think he realizes that with a car comes a job, with a job comes money, with money comes me moving out. When I move out, he won't ever have to see me ever again if he doesn't want to. I'm sure that will make him very happy. I still need a job so if anyone needs someone to answer a phone and do secretarial work, I'm your gal! On Tuesday I have an appointment with the periodontist my insurance is covering me to see. I hope he will be able to do something for my mouth considering I don't have much to work with. I'm feeling a bit nervous that he will say "Sorry, the Lupus has torn up your mouth, there's no point in fixing it because it will get torn up again." So y'all start hoping and praying he can fix my mouth, that insurance will cover it, that it won't take forever, and then I can start getting my life together without many more hassles. I know I'm asking for a lot and I'm really sorry. I just wish that it could be simpler, like I go to a hospital to get the surgery done, they fix my whole entire mouth in an OR, they stick a feeding tube down my nose and into my stomach, I recoup in the hospital for a few days, and then I go home. But of course there is no guarantee the grafts will take, so that's why they probably don't do them all at once! I hope everyone is having a fabulous weekend! I just can't believe I walked as far as I did. I missed having my i-pod streaming music into my ears. I'm sure I'll be paying for today tomorrow but hopefully it will be worth it. I'm excited about getting back to the Erika I used to be! I think today is going to go down in the books as my best day ever. What qualifies as the best day ever for a person varies with the person. A person's best day ever could be the day they got married, or the day they had their first child. The best day could be the day they graduated from college or the day they saw their grandchild graduate from high school. But today, April 2nd, 2009, I think will go down as the best day ever for me. The video blog below explains it all. In case you were not on the Life Is Good Email list and didn't receive the email, you can read the online version here. When I got home today, I checked my email and I saw that I had one from Life Is Good. I was shocked when I scrolled down to see my face and a blurb about my story. I still had the thought in the back of my mind that maybe someone would think my journey wasn't good enough. I honestly don't understand why they picked me. I'm sure they get hundreds of letters every single day. Why me? 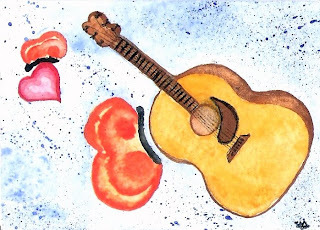 I wonder why my story touched the people at Life Is Good? I wrote about a hat and what the hat means to me. I haven't done anything particularly heroic or courageous. I'm not exactly saving the world either? I'm just being me, doing the best I can do to get by. Today I got to hang out with one of my closest friends, Michele. We decided it was time for another paint party, even though we just had one last week. I'm working on a small, yet detailed painting which will remain a surprise until the appropriate time. I've had the idea in my head for quite a while and now I'm finally getting it on paper. Michele was having a difficult time feeling inspired, I felt really bad for her because I was really getting into my art. We went to Captain Buzzy's Beanery which is way down in the city. It was really eclectic and it grew on me as the day went on. After we were done painting, Michele wanted pizza so we went to Ukropia, also known as Ukrops. She thought it was going to bother me if she ate pizza in front of me. But I assured her I am so used to it. If ever you eat in front of me, don't censor what you eat because of me, if it really bothers me (like the odor), I'll step outside for a moment. Other than that, go ahead and eat all the pizza and ice cream you want! Once we were done with Ukrops, we went back to my house where Michele cut my hair. My new hair cut is in the video above. She took about an inch or so off, just to try and even it up. My hair in the video is about as straight and flat as it will get without me having to break out the flat iron. I love my new hair cut though, she always does such a great job. I've been her guinea pig ever since we were in tech school together! Now I'm pretty much done for the day, I'm exhausted but looking forward to the ER season finale. I just cannot believe how awesome today has been. Again, I need to give a big thanks to all the people at Life is Good for helping to make this happen for me. There is someone else I need to thank, my Mom. She bought the hat for me because she knew how much I wanted it. And if you know me, when I want something, I usually keep the thought to myself. If I really, really, really want it, I might say something about it. I feel like I need to be appreciative of what I have in the first place and not want for anything more than I actually need. My Mom tells me that I rarely ever ask for anything and if it is something she can afford, she will help me to make it happen. So thank you Mom, if it weren't for you, I wouldn't have the hat. If it weren't for the hat, I wouldn't have written to the people at Life is Good. And if I hadn't of written to them, I wouldn't have been able to inspire 90,000 people. You rock Mom! FUEL: Not for the car, but for the soul. So I went on the Life Is Good website tonight to stare at hats. Y'all already know I LOVE hats. Anyway, I wanted to see if they had anymore FUEL letters up. Well, lo and behold, my letter was up on the website! I'm in a state of shock! I love reading other people's life experiences and it helps me to be grateful for the blessings in my life. I also feel like I share a common thread with all the people who's stories are up on the website. We all believe, no matter what life throws our way, that life is good. Even when we are fed up with whatever the day brings, we know deep in our hearts that life is good. And the Life Is Good company has helped to bring that idea to our society. In a world so caught up in pessimism, sadness, anger, and hate, we forget about what can bring us joy. 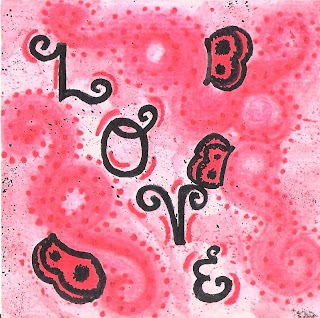 A smile, a hug, a hand made card. It just takes something little to completely change someones day around. If you haven't been to the FUEL section at Life Is Good, you can get there by clicking this sentence. And in a few weeks, my email will hopefully be sent out to about 90,000 people. If you want to be one of those people who receives it, click on this sentence to get on their email list. I'm exhausted and I'm going to go to bed. I'm so excited because maybe my email will brighten someones day when they read it. Please be sure to read the other FUEL stories, not just mine. They are all so very inspiring and they motivate me to do the most that I can with my life. "But if you try sometimes, you'll get what you need." ~Mick Jagger and Keith Richards. I have realized here lately that I have not been my typical optimistic self. But today I got a little bit of a pick me up. Something that I totally wasn't expecting but managed to life my spirits. It reminded me that I need to stay positive even when life is a bit on the stinky side (like it has been). I remember from a speech that I did a long time ago that I said "Life is a journey, not a destination, so take your time and enjoy the ride." Who knows if someone has actually copyrighted that phrase before I said it? Here lately, I haven't been enjoying the ride, the past few days I've felt as if I was going on because I didn't have much of a choice. But you know what? Even though I've been dog tired today, it's better than yesterday. And hopefully tomorrow will be better today. I hope that my life only goes up from here and it is up to me to make it work. 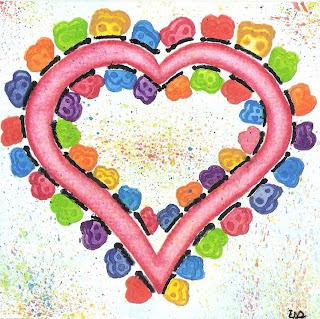 Here's a little video blog from the heart! This morning I received a phone call from the practice that I saw a few weeks back. Remember, the place that wanted me to switch my diet around and take 10,000 supplements? Yeah, that place. It was the doctor who I was supposed to see a few weeks back but she wasn't available that day so I saw her colleague. Anyway, she saw that I had canceled my appointment for today and that my new doctor sent over a request for my records. I explained to her the experience that I had during my first trip. How their practice seemed to shove "their" supplements onto me. I told her that I'm a firm believer in the FDA and I do believe in some supplements, like a multi-vitamin, calcium, and vitamin D (especially for me because I never get unfiltered sunlight). I also said that because supplements weren't covered by insurance, it was a little bit too expensive. I need the medications I take to be partially covered by insurance and unfortunately supplements are not included. I also told her that last week, I called the practice to see if my lab work ever came back. Instead of giving me the results over the phone, the receptionist told me that they had more recommendations for supplements. I was informed that a pharmacologist looked over my lab work and records and put notes on my labs. When I told the doctor that this morning, she was shocked and she explained that something like that should never happen. It should have been her who made the decisions about my health care, not a receptionist or pharmacologist. She didn't even review or approve the notes made about my condition. She agreed that the receptionist and the other doctor should not have shoved the supplements on me. I should have been allowed to go home and do my research on the brands they were trying to push on me. She wanted me to come back to the practice but I explained to her that the experience did not leave me with good thoughts about the practice. At least she is going to mail me a copy of my lab work! In other news, I've created a wish list for myself. None of it is medical procedures or stuff in me that needs to get fixed. It's purely material and selfish. I think everyone has a wish list but I don't know of many people who share it. Here's mine! EDIT: My Mom and I are going to get the sneakers this afternoon. They don't have them in a 4.5 but they have them in a 4. So I'm hoping they fit and by this afternoon my feet will be swollen so it will be a true fit. We figured $30 was a good price for nice trainers and they probably wouldn't get any more affordable than this. Besides, I haven't had to buy new sneakers in about 1.5 years. Adidas Kanadia Trail K gray/pink sneakers size 4.5 If I am going to get back on my exercise routine, I need a pair of supportive, comfortable sneakers. I've always had luck with Adidas, no matter what they always fit me and they usually last a year for me. Even when I was back in high school and worked out all the time, they still lasted a year. I usually wear a size 4 but because of my arthritis and Raynaud's, my feet swell. Icky huh?! iPod Classic 120 GB in Black. I used to have a mini, but mini died after being alive for over four years. I like the nano but it's so skinny and frail looking that I'm afraid that with one wrong move, I would break it. Plus this one has plenty of storage for my music collection that grows occasionally. I also believe it is the best value for the money. The iPod touch is around this price, but there is less space and I'm afraid of the touch screen wearing out. Reebok Strapless Pink Heart Rate Monitor. Because of my Lupus and IST I have to be really careful when I work out. Between being conscious of my heart rate, constantly keeping hydrated, and being aware of pushing myself too hard for too long, I've got my work cut out for me. I don't feel like having my heart stop and being followed around with the crash cart. I would prefer a crash tractor (only House fans will understand). I like this monitor because it is strapless, meaning I don't have to wear a strap across my chest to get a reading. It is also consistently accurate. Some people don't like the fact that you have to stop and get a reading. I'm not one of those cardio people who need to reach a target heart rate. I need to stay below the target heart rate. For me it's not about calories burned, it's about improving my strength and mobility in a safe, healthy way.